Rated 130 - 140 Bar. (Max 150 Bar) (Not suitable for industrial machines). Thread: 1/4 BSP (female). This Drain Cleaning Nozzle Has A Single Forwrd Faceing Jet To Allow The. 1 x Drain Cleaning Nozzle. Hose To Cut Through A Blockage And 3 Rear Faceing Jets To Break Up The Blockage. This turbo nozzle greatly improves the cleaning power of your machine when compared with a standard nozzle. pressure washer parts. Karcher New Dirt Blaster 30 Gauge Nozzle. New Performance Dirt Blaster nozzle. Increases cleaning power by 50%. Need help Finding a part?. Karcher Dirt Blaster Nozzle. New Performance Dirtblaster nozzle. Increases cleaning power by 50%. Need help Finding a part?. Karcher New Dirt Blaster 35 Gauge Nozzle. Need help Finding a part?. Karcher G2600XH Gas Pressure Washer - 2.5 GPM. Karcher G2800FH Gas Pressure Washer - 2.0 GPM. This nozzle also includes an adapter to go from Karcher's threads to standard 1/4" NPT so that you can use this nozzle on almost any pressure washer. We will do all we can to help you out. Karcher - HD and HDS. These Conversion Adapters Allow You To Connect And Use 1/4 Quick Release Lances, Accessories and. 1 x Pressure Washer Adapter. 2767002, 2.767.002, 27670020, 2.767-002.0. KARCHER Dirt Blaster, Rotating Pencil Jet, Nozzle Size 035 order no. 2.767-002.0. All our products sold areGenuine Karcher. Karcher Center Aquaspray. 7 Causeway Park. Thread Size : 1/4 BSP female. 1 x Adjustable Wash Nozzle. Max Temp : 60°c (140°f). Block Paving, Guttering, Fascia Boards, Driveways, Patios, Brick Work, Garden Furniture, BBQ's, Stone And Concrete To Washing. Mi-T-M Rotating Nozzle with Filter. 4.0 Orifice. We will be glad to assist you in ordering the correct part for your pressure washer. Fitting Angle: Straight or 45 degree. 1 x Heavy Duty High Pressure Jet Wash Adapter. Quick Release Size: 11.6mm (1/4 BSP). Part Number: 93590. (as pictured). 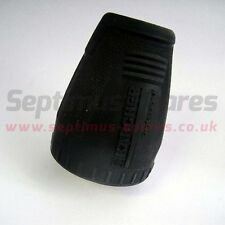 Overall Length: 75mm. The turbo nozzle greatly improves the cleaning power of your machine when compared with a standard nozzle. pressure washer parts. 1/4" Female Quick Connect Plug - Stainless Steel. 1/4 " Quick Disconnect Socket - 3/8" Male Pipe Thread Socket - Stainless Steel. Category: High Pressure. Material: Stainless Steel. Thread Size : 1/4 BSP female. 1 x Adjustable Wash Nozzle. Max Temp : 100°c (212°f). Block Paving, Guttering, Fascia Boards, Driveways, Patios, Brick Work, Garden Furniture, BBQ's, Stone And Concrete To Washing. For sale is a new suttner ST-457 Turbo Nozzle for pressure washers. Always start turbo nozzles in down position. Turbo nozzles increase cleaning efficiency as much as 200% compared to a 25 degree flat fan nozzle. For sale is one (1) 0 degree quick connect nozzle for pressure washers. The tip is New and never used. These are available in orifice sizes from 2-9. Son Co will not be responsible for any problems occurring with the wrong size tip selection. PowerFit QC Pressure Washer Adjustable Soap Nozzle. Short-Range Soap. Long-Range Soap up to 30'. 1/4" Quick Connect. Sprays up to 30ft. Good communication will fix most problems. One tip is used for spraying the chemical and the other one is used for rinsing down the chemical. Nilfisk Gerni compatible inlet. Pressure washer compact turbo nozzle forNilfisk machines such as Compact 105-110-120-125-135. This turbo nozzle greatly improves the cleaning power of your machine. Turbo Nozzle - #1 Blue 2.1 GPM - 2.6 GPM. NOTE THE PICTURE SHOWN HAS A 1/4 MALE PLUG - THAT. Size: 4.5 - Red. Add a 1/4" plug?. Flow: 2.1 - 2.6 GPM. Quick Overview. 2767003, 2.767.003, 27670030, 2.767-003.0. KARCHER Dirt Blaster, Rotating Pencil Jet, Nozzle Size 040 order no. 2.767-003.0. All our products sold areGenuine Karcher. Karcher Center Aquaspray. Phone: 01925|444464. Genuine OEM Replacement Part # 31203363. Consult owners manual for proper part number identification and proper installation. Please refer to list for compatibility. BE Pressure Whirl-a-Way genuine OEM spray nozzle. This OEM spray nozzle has the following specification(s). The Dirt Killer IDK Series Nozzles give a less powerful machine the impact of a larger, more powerful pressure washer. The impact of a 0° nozzle with a 25° fan! #10 (Brown). #7.0 (Blue). #8.0 (Red). 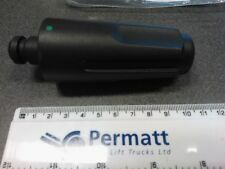 For sale is one (1) 25 degree quick connect nozzle for pressure washers. The tip is New and never used. These are available in orifice sizes from 2-9. Son Co will not be responsible for any problems occurring with the wrong size tip selection. 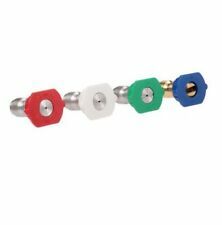 4x COLOURED QUICK RELEASE JETWASH NOZZLE TIP SET READY TO USE. 1x RED TIP 0 Degree Spray. 1x GREEN TIP 25 Degree Spray. 1x YELLOW TIP 15 Degree Spray. 1x WHITE TIP 40 Degree Spray. The Dirt Killer IDK Series Nozzles give a less powerful machine the impact of a larger, more powerful pressure washer. The impact of a 0° nozzle with a 25° fan! #10 (Brown). #8.0 (Red). #7.0 (Blue). Thread: 1/4 BSP (female). This Pressure Washer Nozzle Has A Single Forwrd Faceing Jet To Allow For. 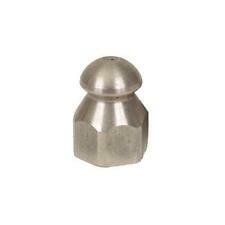 1 x 1 Forward Jet Nozzle. High Pressure Unblocking, Reducing Back Spray As Found With Rear Faceing Jets. 1 x Heavy Duty High Pressure Jet Wash Adapter. Fitting Angle: Straight or 45 degree. Quick Release Size: 11.6mm (1/4 BSP). Part Number: 93590. Overall Length: 75mm. 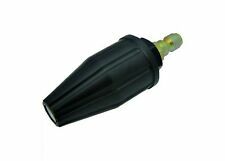 V-TuF 050 Turbo Nozzle -from Fenco Group. Proven to last up to 3x longer than other industrial turbo nozzles! • Color coded by spray angle ---Quick connect ends--Made in USAtop quality. flat spray pattern. body for long life. Hardened SS one piece. Karcher HDS Compatible inlet. Pressure washer compact turbo nozzle. This turbo nozzle greatly improves the cleaning power of your machine when compared with a standard jet. Genuine OEM Replacement Part # 5201502-2PK Consult owners manual for proper part number identification and proper installation Please refer to list for compatibility . Edger Blades. Features three (3) rear-facing jets that move the nozzle through the drain and flush out debris. Rotating sewer jetter drain cleaning nozzle. Fits 1/4 in. NPT male sewer jetter hose fittings. Powerfit 4-Pack Pressure Washer Nozzle Kit PRESSURE WASHING OPTIONS!!!!!!!! !